Wayne County is a large fairly populated county of the state of Michigan. Wayne County is composed of cities such as Detroit, Dearborn, Dearborn Heights, Inkster, Ecorse, Plymouth, Taylor, Westland and many other great cities. All throughout the county there are thousands of motorcycle, ATV, snowmobile or watercraft owners. So when it comes to selling your powersports vehicle in Wayne County, your first choice should be Sell Us Your Bike. 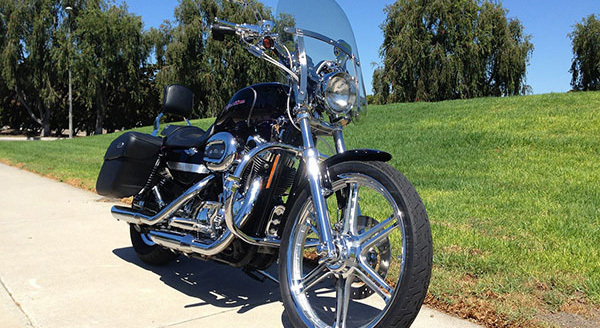 At Sell Us Your Bike, we have been buying powersports vehicles for decades all across Michigan. In addition, we buy used vehicles from the year 2000 and newer. Why bother with dealerships that just want to low ball you to get you to buy another bike? We just want to buy your bike at a reasonable price that is it, no funny business. The process is easy and hassle free, simply fill out our online form and we will respond with an offer. Once agreed upon, we then issue a check and arrange pick up of the vehicle. You might be asking, what if I do not live in your area? It does not matter, we buy from all over Michigan, in fact, we also buy from all over the Midwest and East Coast. Our network covers most of the United States. So even if you live in New York, Chicago or Lansing, we can buy your used powersport vehicle. Also, we are always interested in all types of motorcycles, from cruisers to sport bikes we buy them all. Looking to sell your ATV or snowmobile? We buy them as well, from all the major brands such as Artic Cat, Suzuki, Yamaha and more! Finally, fill out our online quote form and get the money you deserve for your used motorcycle, ATV, snowmobile, or watercraft.